Remarkable moments, those deeply significant fragments of time that are indelibly imprinted in life’s memory book, are few and far between. In November I went on a journey and encountered so many of these moments, one after another, it felt like I was in a waking dream. As I try to collect the memories to preserve and share them with you here, I feel profound gratitude. Our journey started in Munster, Germany. My husband and I left home on the anniversary of Kristallnacht, which signaled a synchronicity that was to follow us throughout our trip. 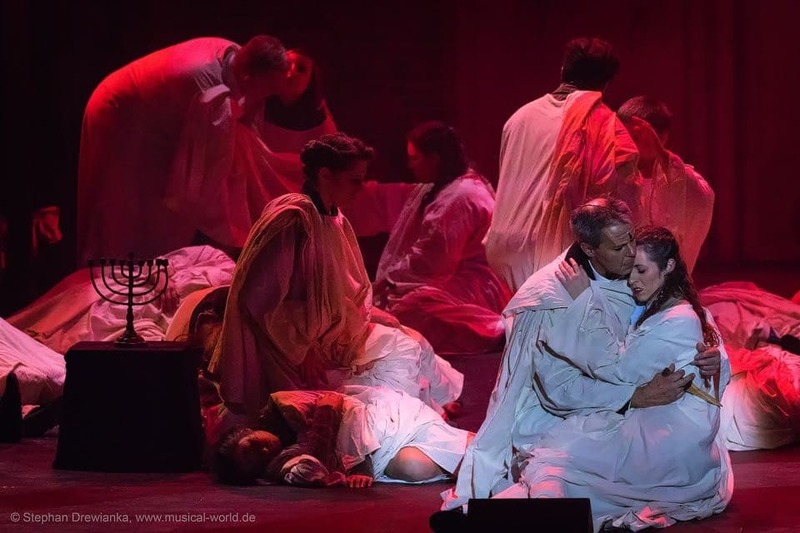 We were on our way to the staging of my husband’s dramatic musical, Imagine This, a story that takes place in the Warsaw Ghetto during World War II. The show, which is loosely based on true events, tells the story of a Jewish theatre troupe at the time of the Warsaw Ghetto Uprising. 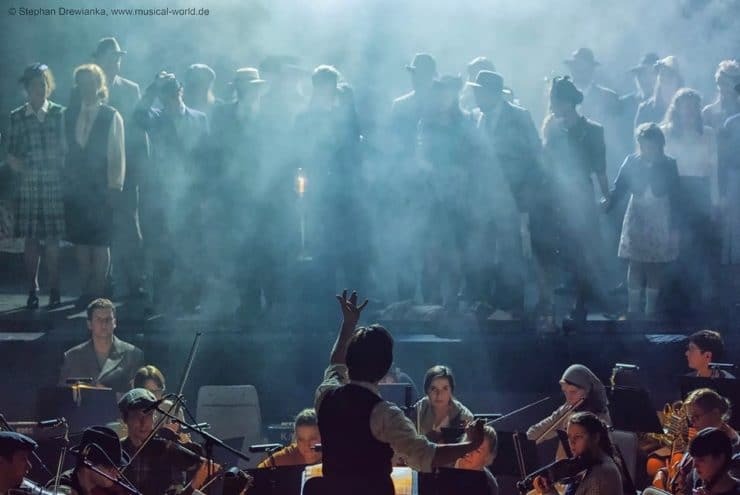 A cast and orchestra of 100 Germans gathered to tell a difficult story that shed light on a dark part of their country’s history. Some of the people who participated were the descendants of Nazi soldiers, and they took their solemn task to heart. 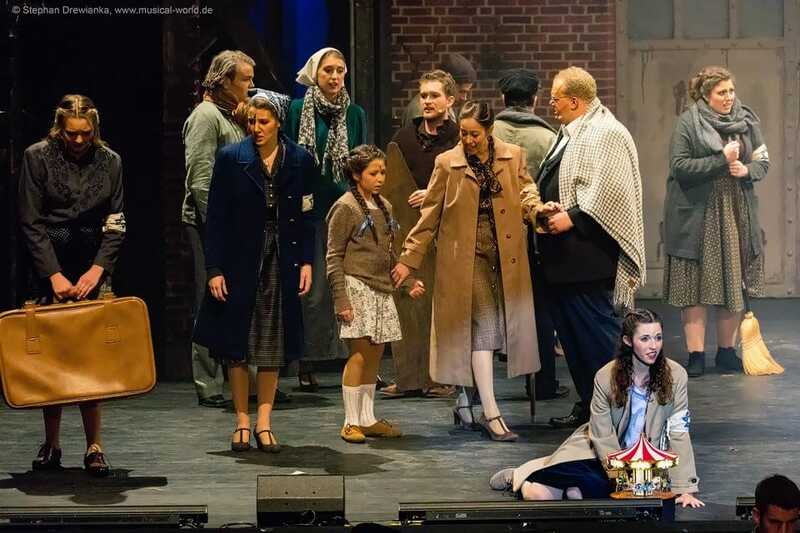 Seeing this show performed in German, and witnessing the actors and musicians as they told the story with such care and grace, was one of the most moving experiences of our lives. 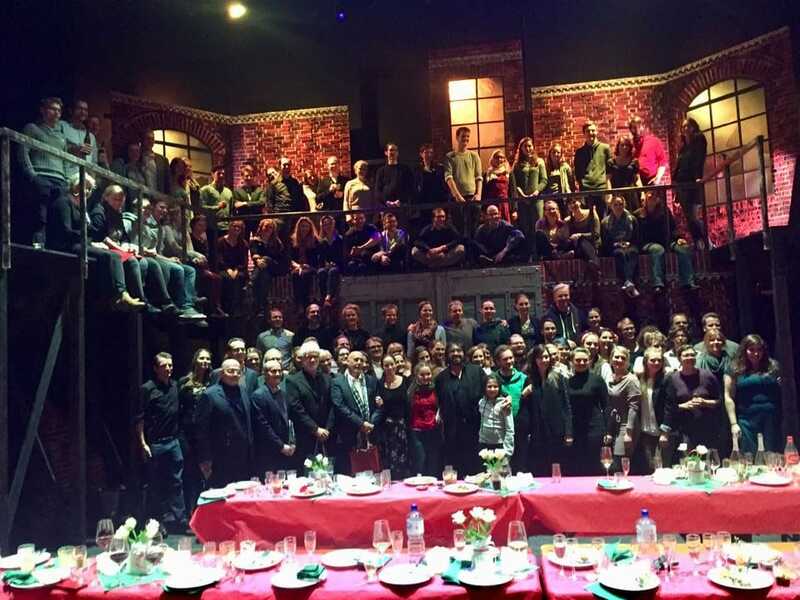 After the show, the German cast and crew welcomed us with open arms and threw a banquet on stage in our honor. Everybody participated and brought home-cooked dishes. I looked around at the caring, kindly faces of this group and my heart was full. They worked so hard to bring this challenging story to life. As we walked through the buffet line, looking at all of the carefully prepared dishes, I was struck by a batch of homemade Apple Rose Tarts. They were so sweet and lovely, and somehow symbolic of the beauty rising out of this event. They represented the energy of growth and change. I was inspired to make something similar when I returned home. I followed the process described here, but added a more exotic homemade filling of dates, rosewater and cardamom. The result was very special, and vegan too (make sure you choose a dairy-free puff pastry if you want to keep it dairy free). Today is International Holocaust Remembrance Day, and my mind keeps wandering back to this emotional day we experienced in Munster. This evening, as we light the Shabbat candles, we remember 11 million lives stolen, 6 million of them Jews. Innocent lives, murdered. We remember the past, and we actively resist the evil energy that led to this atrocity. Anti-semitism is on the rise across the world. Stay vigilant, stand strong, speak out. Be the change you wish to see in the world. 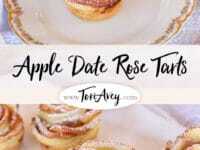 I offer these Apple Date Rose Tarts in remembrance. May we never forget. 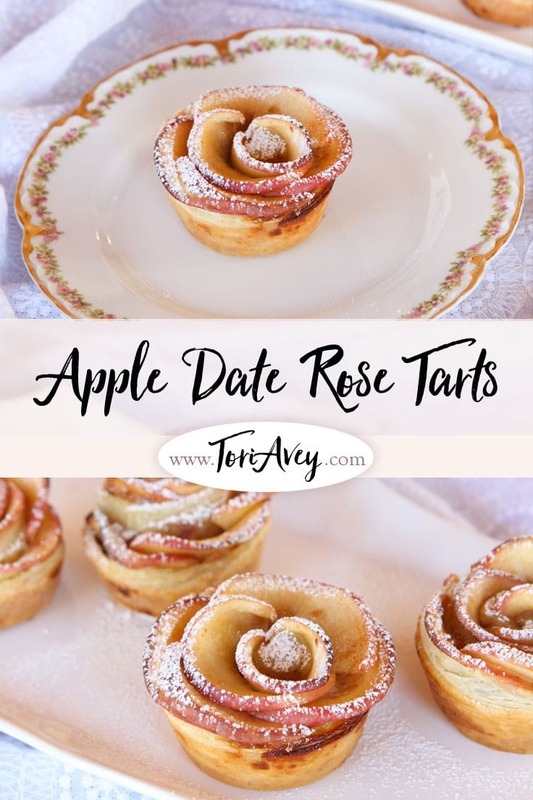 Apple date rose tarts are beautiful with an exotic filling of date, rosewater, and cardamom. Surprisingly easy to make, they are also vegan! 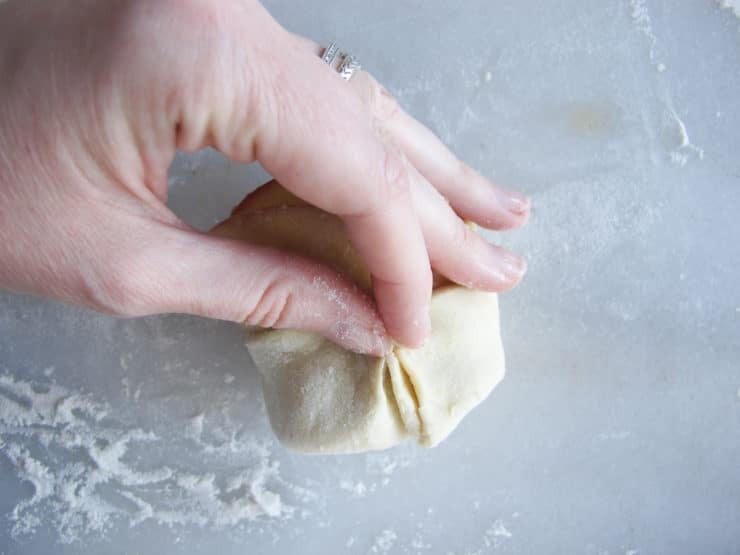 Before getting started, be sure that you have thawed your puff pastry (it takes about 40 minutes at room temperature). Preheat oven to 375 degrees F. Spray a muffin tin lightly with nonstick spray and set aside. To make the date filling: start by softening the dates in 6 tbsp cup of hot water for about 10 minutes. 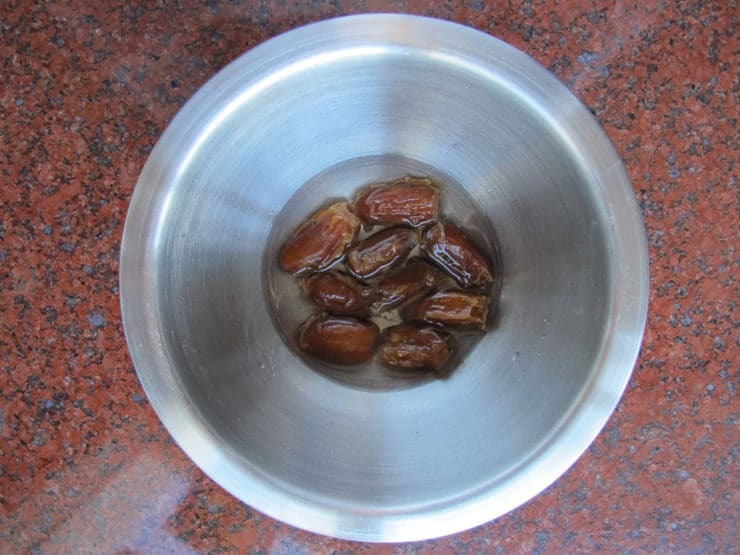 Once the dates have softened, place them in a blender along with the soaking water and remaining filling ingredients. 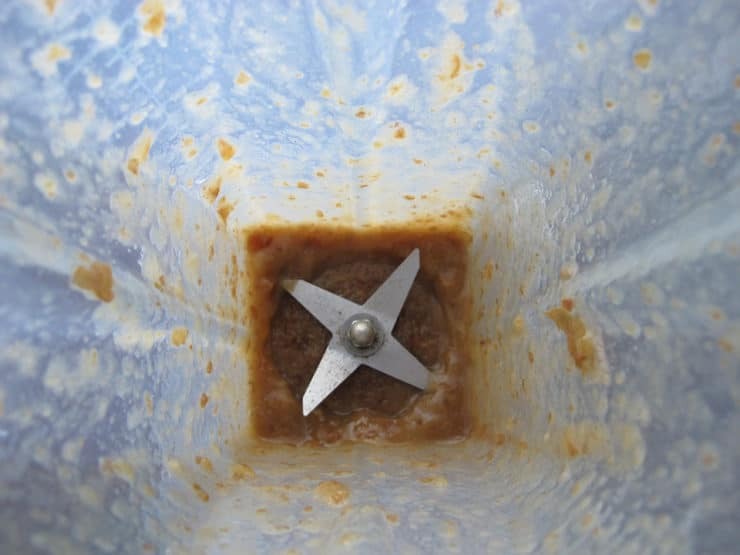 Blend on low until you reach a jam-like consistency. Remove from blender and place in a bowl. Set aside. 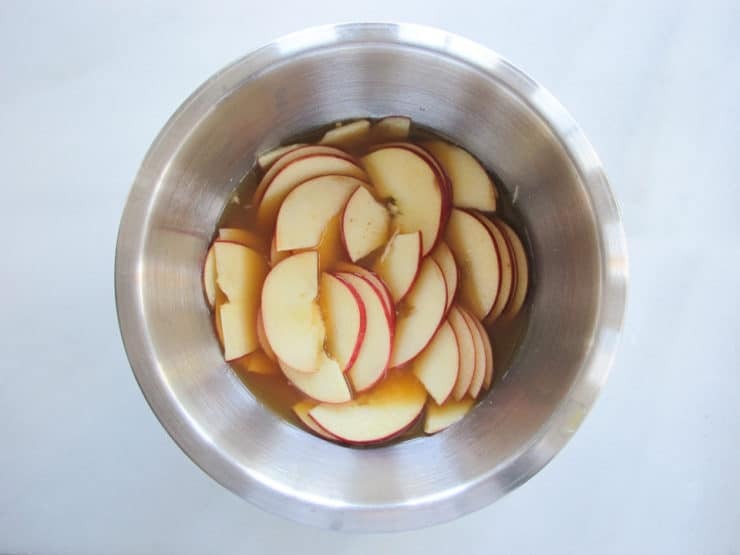 In a medium, microwave-safe bowl, combine the apple juice and lemon juice. 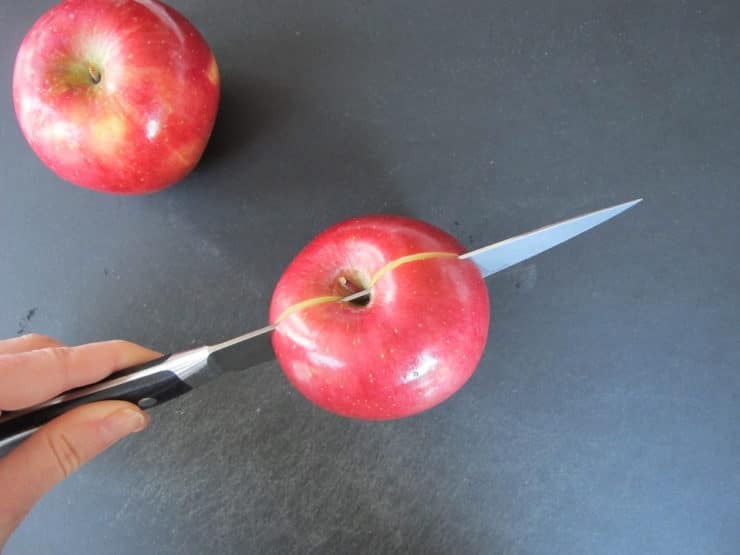 Cut the apples in half lengthwise (do not peel). Remove the core by carefully carving it out with a knife. 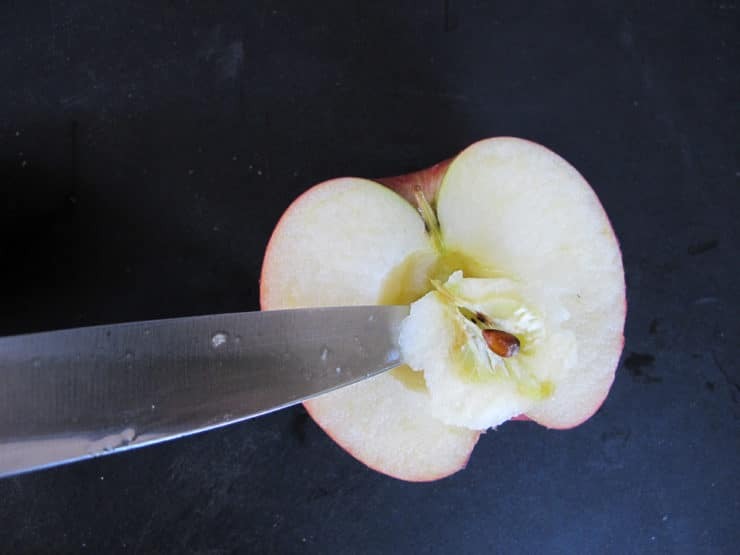 Place the flat side of the cut apple halves down, with the stem end facing to the side. 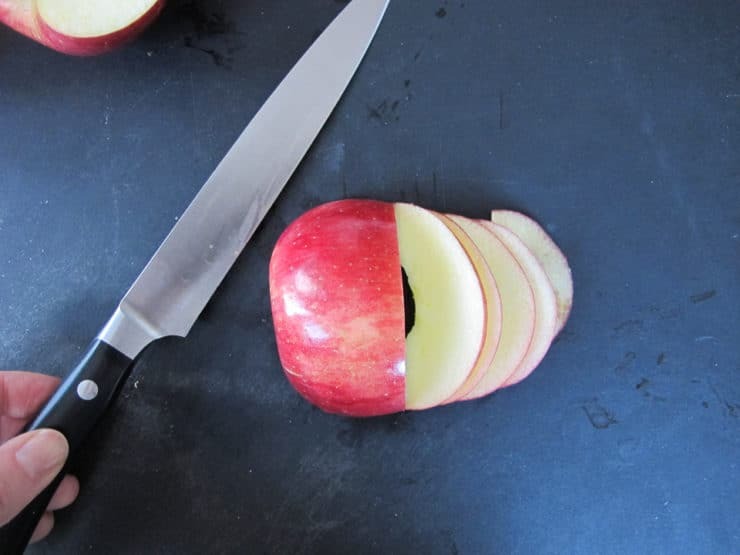 Slice the apple halves into very thin slices. 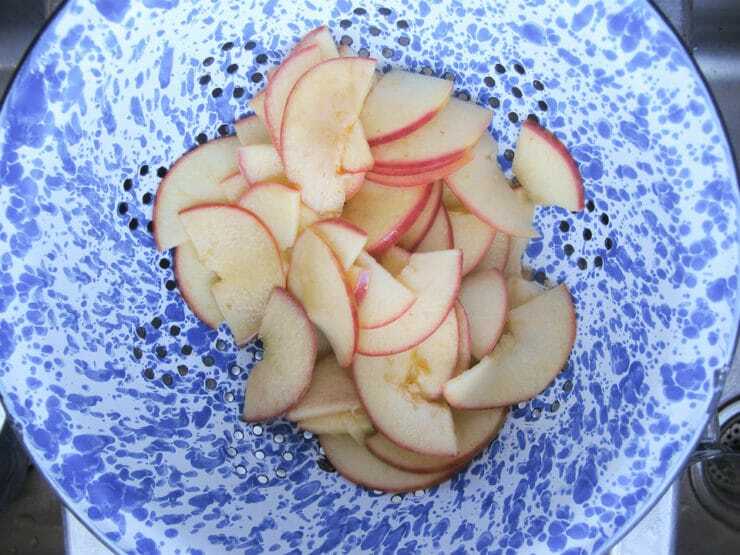 Immediately transfer the slices to the bowl of apple and lemon juice to avoid any browning. 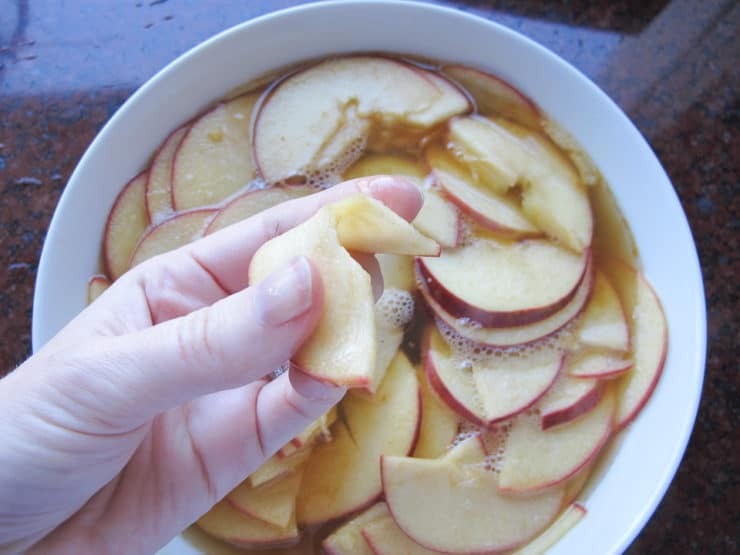 When you are finished slicing the apples, place the bowl in the microwave and cook on high for 3-5 minutes, or until the apple slices are soft enough to bend and roll without breaking. Alternatively, you can cook them on the stovetop. 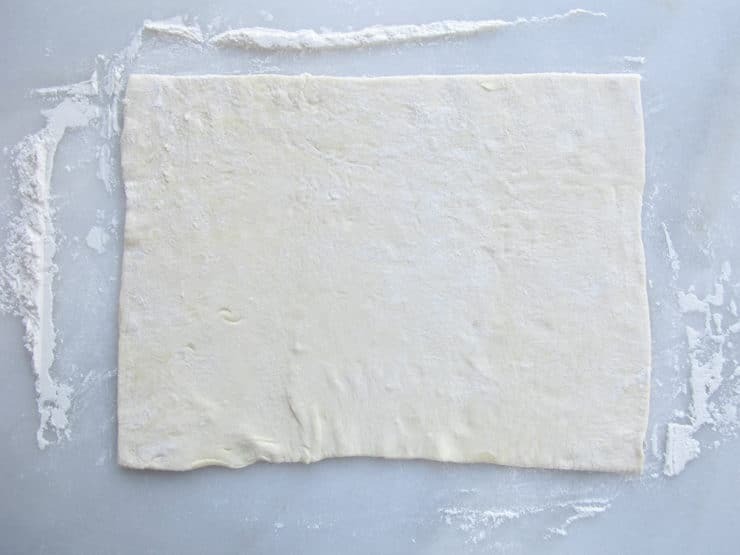 Lightly dust your countertop or flat surface with a thin layer of flour, then roll out the puff pastry until you have a rectangle approximately 12x9 inches in size. 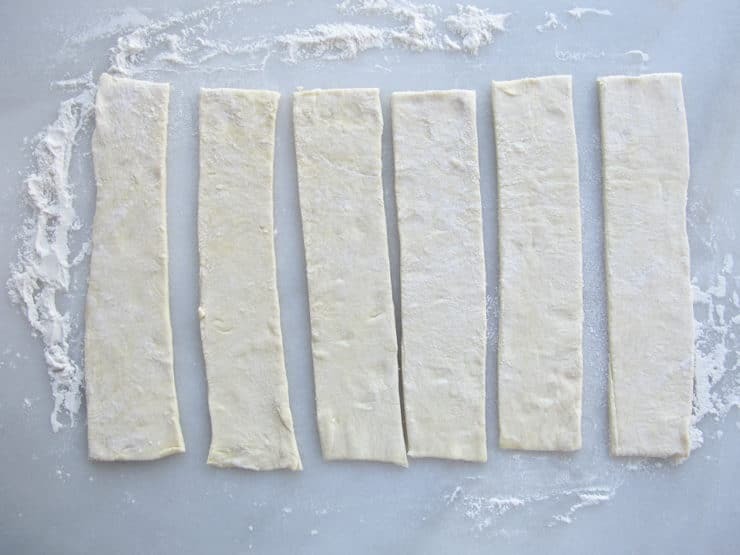 Cut the dough into 6 even strips, about 2 inches wide and 9 inches long. 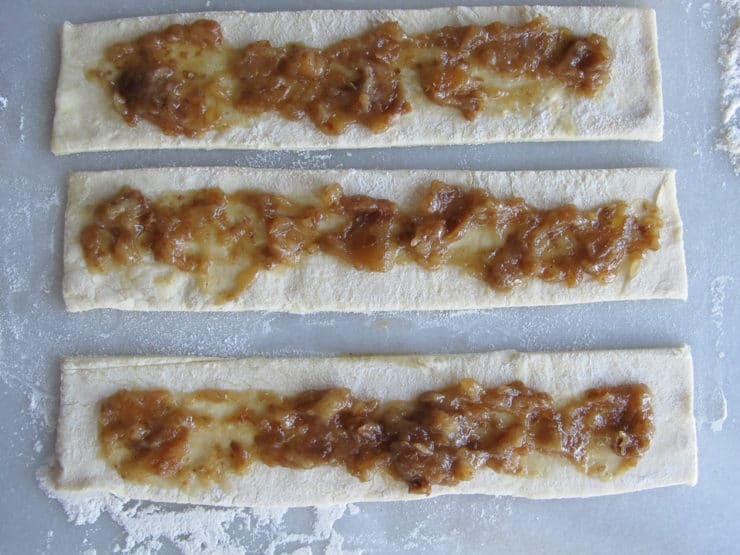 Spread a thin layer of the date filling - a scant tablespoon's worth - on each strip of dough. 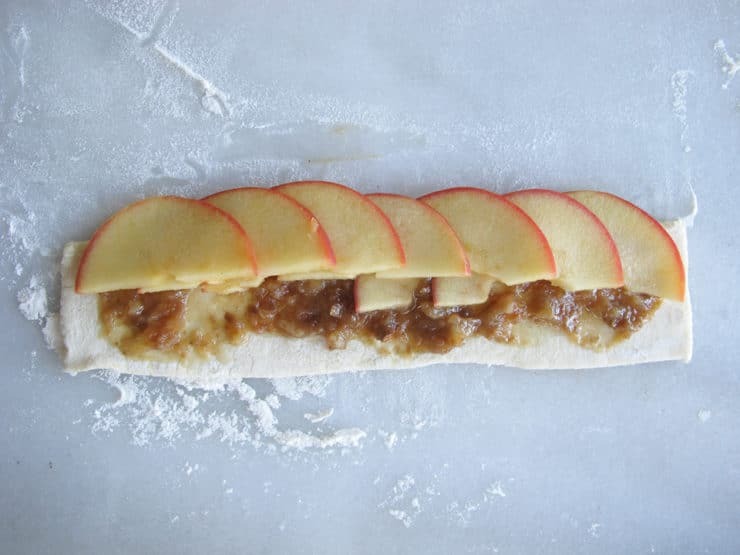 Arrange the slices side-by-side with the flat edge against the filling on each strip of dough. The slices should overlap and peek out over the top edge of the dough just slightly. 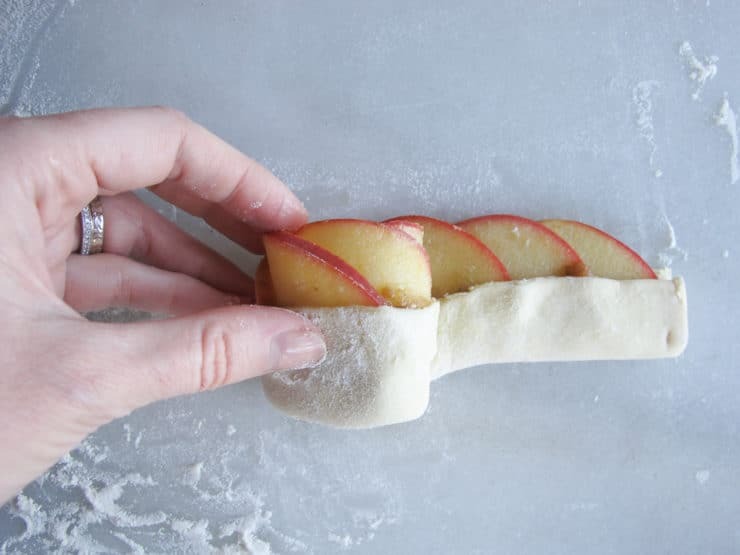 Fold up the bottom edge of the dough, leaving the small parts of the apple slices that hang over the edge uncovered. 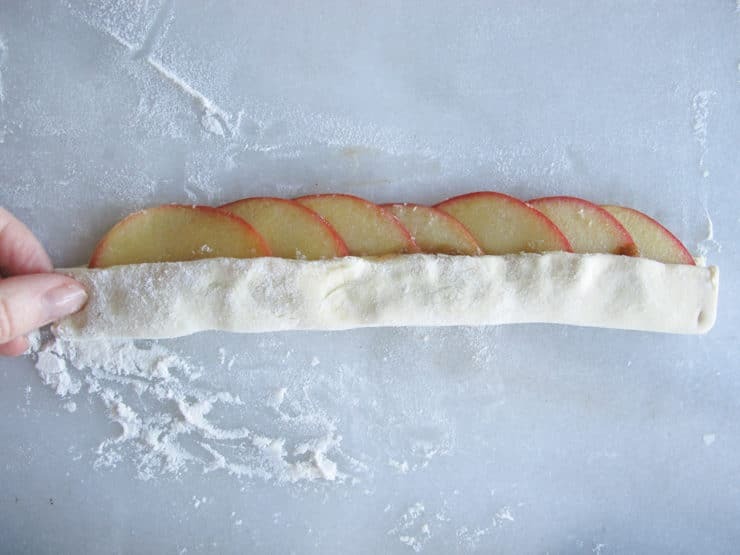 Starting at one end, carefully roll the dough, making sure the apple slices are kept in place. You may need to gently tuck the slices down into the dough as you roll. Once you reach the end of the roll, seal the edge gently by pressing with your fingers. Place the final product into your lightly greased muffin tin. Repeat for the remaining roses. Cover with tin foil or parchment and bake for about 40-45 minutes, or until they are completely cooked through the center (you will need to check the very center to make sure it is not doughy). 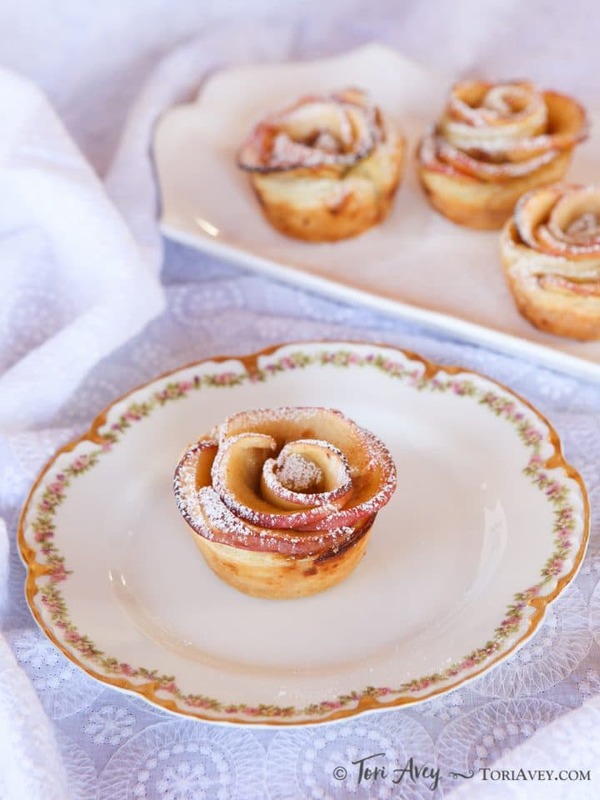 Sprinkle the tops of the roses with powdered sugar, if desired. Serve warm or store in an airtight container once cool. These can be kept in the refrigerator for up to 3 days, but are best served fresh. I’m so excited to find this recipe! 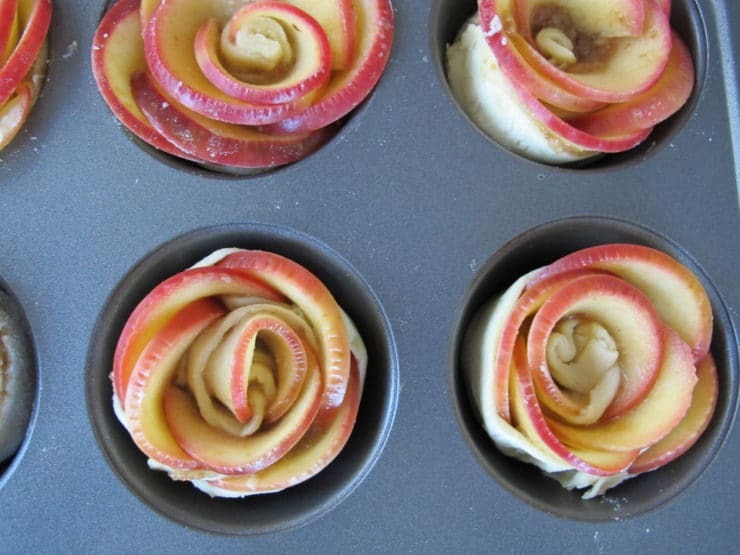 I avoid added sugar, so these will be perfect for me and they look so pretty. I will be sharing them with my family over the holiday. Thanks! Oh, and by the way, I find dates already pureed (aka date paste) at the middle eastern grocery store. I am a fan of your blog site and frequently try the recipes you post. Have you ever heard of a baked onion board that was called either TZIBES or something similar? I was in a group discussing recipes that our grandmothers made…….and this came up, but although many of us remembered the result, no one could come up with either a correct name or a recipe. If you can help us out with this…we would really appreciate it!! Hi Sharlene, Tori’s assistant Ashley here. I wouldn’t recommend freezing these. They are best when fresh and freezing might cause them to become soft and discolored. Loved making these. I added some nutmeg to the mix. I made a batch of 14. Mine seem much larger than the ones in the picture here. I also made some cashew cream to serve with them. Cashew cream – 2 cups soaked cashews (preferably overnight), drain the cashews, put in a blender, add a bit of non-dairy milk (sorry, didn’t measure it – 1/4 c.? 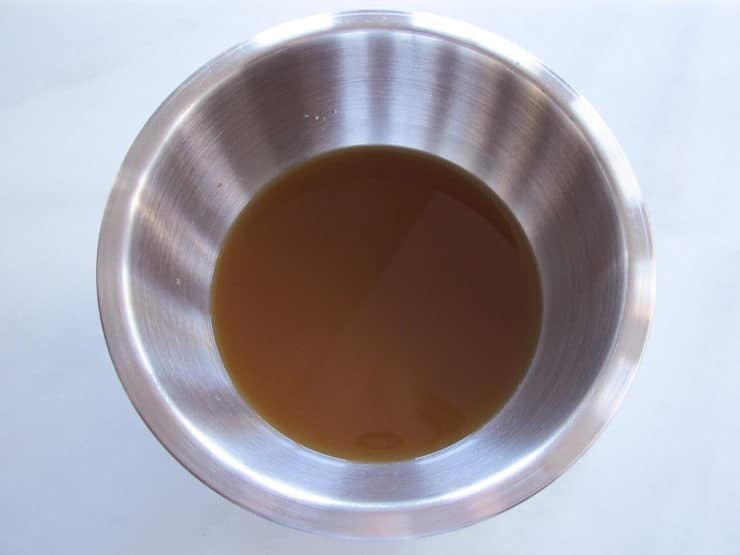 ), juice from 1 lemon, 2 – 3 Tbsp maple sugar, 2 tsp vanilla. Blend until smooth, add more liquid, sweetener to your liking. I really wanted to post my pics, but you can see them on my FB page linked to my name. B’tayavon! Shana Tova, hatima tova! 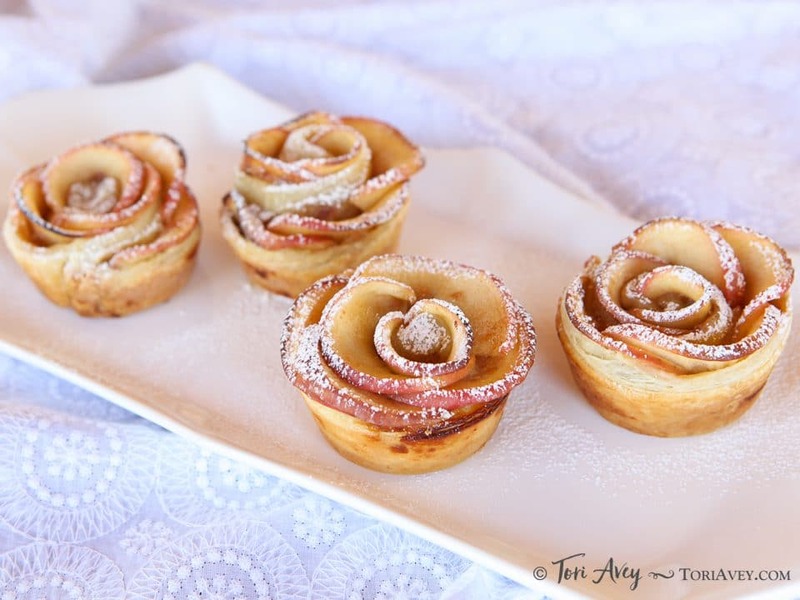 These Apple Tarts look amazing! My family is gluten free-any suggestions on what we could use instead of the puff pastry? Thank you! Hi Dana, Tori’s assistant Ashley here. I’m not aware of any other sub for this recipe apart from a gluten free puff pastry dough. You may be able to find some at specialty ingredient grocery stores. Thank you! I made these using challah dough for the `cups`. We really enjoyed them and they added a special treat at Shabbat. I’m short of words. Everything’s perfect. Can these be made ahead of time and reheated? How far ahead of time (a couple days before Shabbos?) and reheat at what temperature? I do not recommend reheating these. They are one of those desserts that are really best freshly served. I tried it substituting dates for figs, my second batch. Thank you for this great recipe! I just did a test run and had a little trouble getting the puff pastry dough to cook through. I’ve never baked with puff pastry before and used a half sheet of Dufour. The inner layers came out a bit chewy, while the outer was slightly overcooked. I ended up cooking the roses for about 47 minutes. I confess that I forgot to cover with foil unit labout 15 minutes into the bake time. Perhaps I should use less puff pastry dough. Please let me know if you have any suggestions. Thanks! Hi Rachel! Try rolling the dough a bit thinner, cooking at 350 degrees for a longer period of time (1 hour would be good), and make sure to keep it covered throughout. It will also help to keep the baking pan in the center of the oven. Each oven heats slightly different, so it’s not an exact science, but these suggestions should help. Good luck! Can I substitute pie crust dough for the puff pastry? My maternal Uncle Jerry Primavera was captured in WWII in The Battle of the Bulge December 18, 1944 and thankfully released on April 26, 1945. I will make this dish to honor his memory. Thank you for all your stories and recipes. I bless the day I found you on PBS FOOD giving a demonstration about recipes for President’s Day about two years ago. Have been following you faithfully via your block and FB. Thanks for all your sharing, especially this poignant post. That is very kind Joann, thank you for reading! Thank you for sharing this beautiful story and the wonderful recipe. 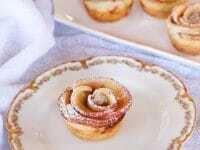 I have a version of this recipe and would like to note that ramekins could be used in lieu of a muffin tin, which could add to the presentation. I have also used a mixture of sugar and cinnamon instead of a jam, though I do like the date jam option better. I have also sprinkled the cinnamon sugar into the tins (just enough to coat) and used an egg wash for the dough (it helps the sticking). I wonder if you have alternatives to the rose water and cardamom? I would like to say that your recipes are wonderful. I have been inspired to start cooking after a recent trip to Israel. While I was born and raised there, I didn’t remember how wonderful the food was. I was re-introduced to it on my trip and couldn’t get enough of it. I love fruits and vegetables and my taste buds had a party. Most of all it was the hummus that did it. Once I had that, I couldn’t go back. It was the first dish I tried to make and once that came out good, I made pitas next. I spent days watching videos on You Tube trying to wrap my head around the process of cooking and ingredients that are used. Once I got more comfortable with just reading a recipe (stage 2 for me), I came across your blog. I have tried several of your recipes and they always come out great. They are easy to follow and the step by step pictures are just the right amount of detail. I also feel comfortable substituting things with what I have on hand. Hi Mirit! So happy you’re enjoying the site. You can omit the rosewater, it gives these a more Persian flavor and I like that it makes them smell rosy, but it’s not required. If you don’t have cardamom you can substitute a pinch of nutmeg or allspice.